It is said that eyes are the windows to our soul. Whatever goes on in our mind and heart, the diverse emotions which we experience almost on a daily basis can all be witnessed through our eyes. Although every sensory organ which most of us are blessed with is unique and special in their own way, your eyes are one sensory organ which stands apart from the rest. This is because your eyes are the first thing which attract and appeal to the whole world. Hence, it is about time that we start taking sufficient care of those little twinkles. This post provides you with easy to follow tips on how to take care of your eyes. What you eat is what shows on your external body. Hence, it is very crucial that you incorporate lot of green leafy vegetables, raw salads like spinach, carrots, beans, collards etc in your meals. Apart from this, foods like egg, fish especially tuna, salmon, nuts, oranges etc need to compulsorily go into your daily diet as these contain essential vitamin C and E which are needed for giving you healthy and bright eyes. Although many of you may have the habit of wearing sunglasses when stepping out in the sun, nevertheless, if you are amongst the few who don’t, then it is high time that you do so. This is because the sun emits out harmful UV rays which may damage your eyes. Hence, it is always advisable to put polarized sunglasses which cover 90 to 100% of the harmful UV rays. If your job involves spending endless hours on the computer, due to which your eyes start feeling exhausted at the end of the day, this is a sign that you need to start taking care of them on daily basis. So what you can do is after every hour, you can take a small or a mini break and just sit with your eyes closed for 5 minutes. This will give your eyes the necessary rest and they will not get unduly strained. Alternatively, you can also wear glasses just as a precautionary measure while working on the computer. 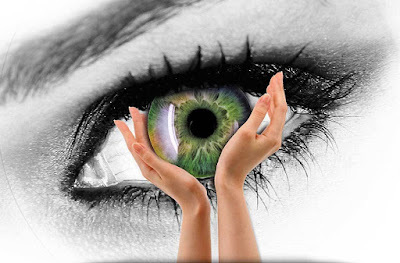 Undeniably, your eyes are the most priceless asset which you must take care of. Hence, start following a set routine of going for regular eye checkups once in six months. This will help you in understanding the health of your eyes and in case if there is any problem, then the same won’t go unnoticed. Thanks for this kind of posts as I found it really nice and pretty well maintained.